With Mass. 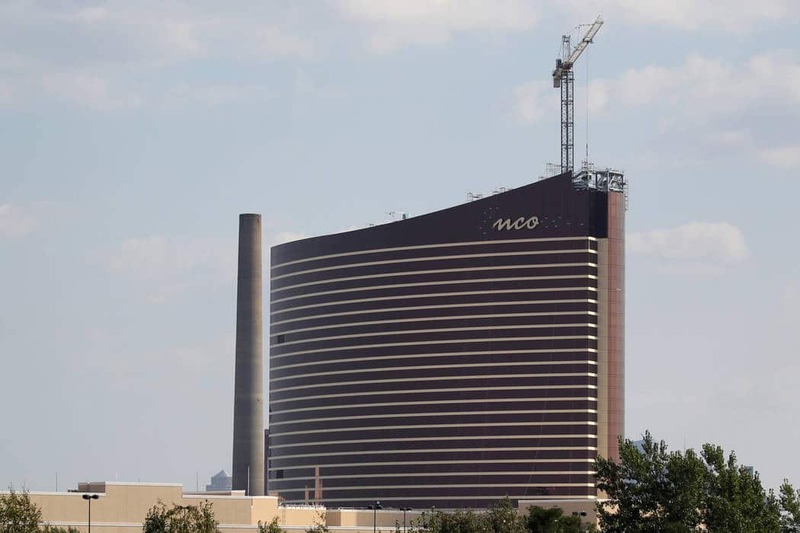 Gaming Commission hearing, is Wynn Resorts’ nightmare finally moving toward closure? It isn’t Watergate, but I am reminded of the words of accidental President Gerald Ford whenever I’m forced to think about the gaming industry’s long nightmare at Wynn Resorts. At some point, it just needs to be over. I’m probably kidding myself. What feels like a decade of ugly drama has really been only 14 months since The Wall Street Journal scorched high-flying company chairman Steve Wynn with front-page allegations linking him to sexual harassment of employees. Such behavior, if proven, wouldn’t make him unique in the gaming industry. It’s just extremely rare that the casino industry’s Caligula fan club ever makes the newspaper. Wynn resigned from the company he co-founded, then sold his stock even as he denied culpability. The influence of his ex-wife Elaine Wynn was immediately felt at the highest levels of the corporate structure as Wynn’s chummy board was swept out and replaced by women. Because Wynn crapped out in a licensed and supposedly heavily regulated industry, authorities in Nevada (where he is a legend) and Massachusetts (where he was the personality behind a $2.4 billion resort going up outside Boston) were duty-bound to investigate. And they did. And it got uglier. The Nevada Gaming Commission thoroughly rebuked the company and its former chairman. Oh, and levied a record $20 million fine – please hold your laughter – for failing to investigate those claims of sexual harassment made against him. Forget that such rhetoric sounds silly to those who know Las Vegas casino history, and Wynn’s own reputation. In the era of #MeToo, it was a refreshing sign that even in the chauvinists’ paradise times are changing. Then there’s Massachusetts, where Wynn’s charm and political connections only carried him so far. The allegations not only ate him alive but put the company’s behemoth casino-hotel project in Everett in jeopardy. But Massachusetts Gaming Commission members appeared at least somewhat impressed by the thoroughness of the corporate house cleaning that’s taken place in recent months. Wynn filed a lawsuit to prevent the findings of the Massachusetts’ investigation from becoming public but wasn’t successful. And so we get to today’s scheduled meeting with an intriguing array of Wynn Resorts executives scheduled to give testimony. But news from Boston media sources that the commission has decided not to live-stream the meeting can only generate skepticism from those who think the last thing the embattled company and the regulatory system it’s been testing needs is a cloak of privacy. The commission will make available a report, however redacted, at some point in the wake of the meeting. But this makes it appear the commission, under stress to balance business and regulatory interests, is going through the motions with the 17 Wynn Resorts executives it’s planning to interview. Among those on the list: Chairman Phil Satre, CEO Matthew Maddox, Executive Vice President Ellen Whittemore, CFO Craig Billings, board director Dee Dee Myers, security chief Jim Stern, Encore Boston Harbor President Robert DeSalvio. Oh, yes. and co-founder Elaine Wynn, the company’s largest stockholder, also known in some circles as the last Wynn standing. After this new, improved slate of executives is put through its paces, will it be safe to predict that the company can finally go about its business? With this debacle, it’s impossible to tell. Back in Nevada, there’s still the presumably large fine former company chairman Steve Wynn is likely to receive for his central role in one of the most embarrassing breakdowns of a powerful casino titans since Bugsy went to Beverly Hills. There are still litigations directly and indirectly associated with the sexual harassment scandal that walloped the American gaming world. And who knows how stockholders will continue to react to all the chaos? Whether friend, foe, or simple observer of the once-proud Wynn Resorts, at some point you may also find yourself just wanting this long nightmare to be over.